*This originally said 17 — we missed someone! 18!! 18!! 18!! Welcome to day two of the government shutdown AND day two of the second year of Run for Something. There are lots of stories from the last few days that made our hearts burst — if you have some time on your hands or just need a break from the depressing news out of DC, dig in. Who runs the world? These women. 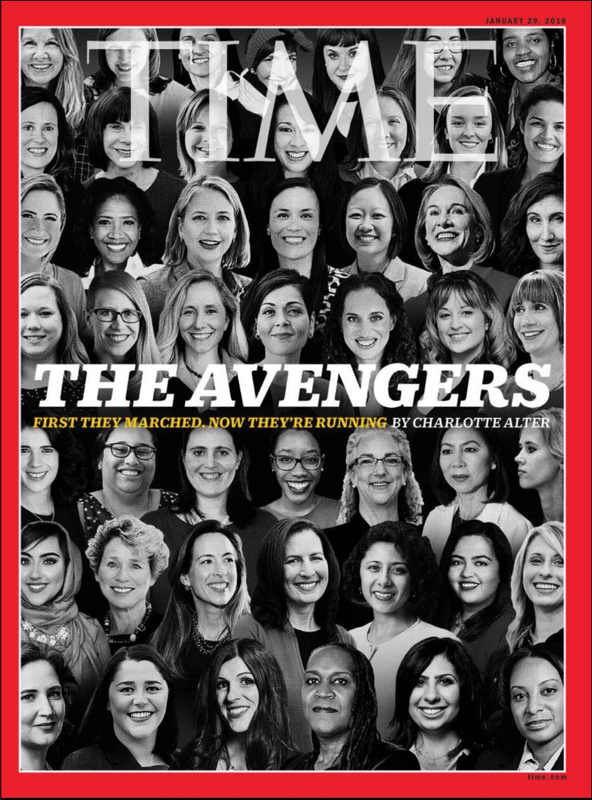 18 Run for Something women are on the cover of Time Magazine this week — Wendy Carrillo, Ashley Bennett, Jennifer Carroll Foy, Anna Eskamani, Lina Hidalgo, Sarah Coats, Bushra Amiwala, Erin Zweiner, Marinda Kimmel, Greta Neuebauer, Kelly Fowler, Sara Campbell-Szymanski, Rachel Fingles, Katrina Callsen, Noelia Corzo, Angela Becker, Amanda Webster, and Danica Roem. 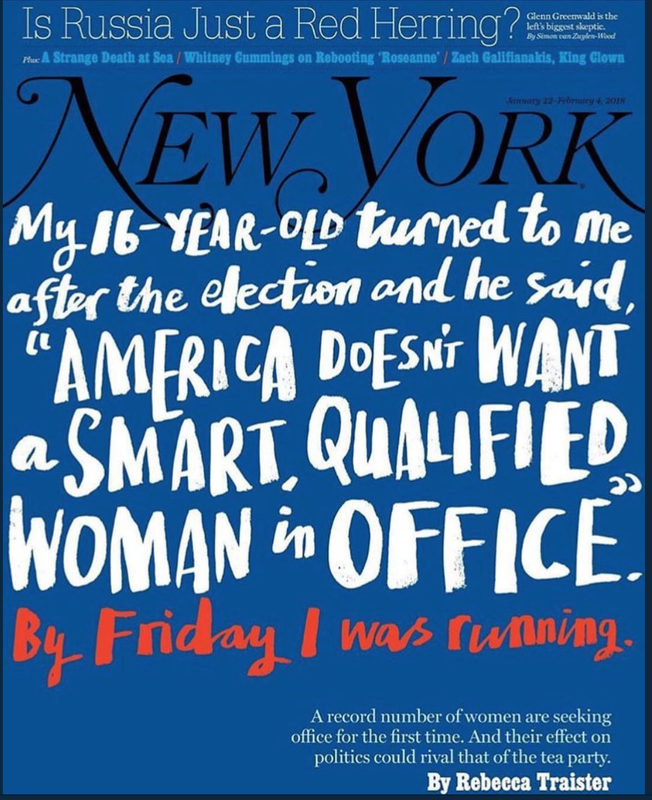 A national magazine put EIGHTEEN millennial women running for LOCAL OFFICE on their cover. Could you have imagined such a thing happening a year ago? We also talked with the inimitable Rebecca Traister for the cover story for this week’s New York Magazine. The TL;DR is that women running for office — especially local office — can bring about change in our system faster and more efficiently than nearly anything else. But we have to scale our infrastructure to support them. The Nation talked about a bit our role in getting more women to run for office and InStyle did a heartwarming story on the wins women have seen in the past year, including our efforts in Virginia and across the country to get more young women running. That wasn’t all: We talked with Mic.com about how in many women are running to protect women’s health on the state and local level. Cecile Richards, president of Planned Parenthood, shouted us out in her national op-ed on the wave of women running for office. Zooming out a little, CNN did a great rundown of the last year in the Democratic Party — we’re so proud to be helping rebuild from the grassroots on up, and so grateful that you’re a part of the team. And nearly finally — today, I’m sitting down with 1A on NPR for an entire show on how to run for office. Should be fun! Last but very much not least: If you’re feeling fired up and want to know what’s next for this team, our 2018 strategic plan is up for your perusal. If you want a genuinely joyful Twitter experience, scroll through this Twitter moment about our endorsements from Thursday. As always, thank you so much for being a part of this work. Year two is going to be even bigger & better because of this community.